No really, it compiles! on Windows! So continuing with the fun from yesterday, where I had managed to get gcc 1.40 running on Windows with MinGW, it was time to try to take the final leap and build Linux. There wasn’t too much to massage on Linux, mostly Makefiles for the various tool name differences, and how to handle keyboard.S as the default setup for NTFS is case insensitivity. While I did get some old version of as16 and ld16 to build, I’m not sure if they are working correctly. Or it could be the ‘build’ tool. 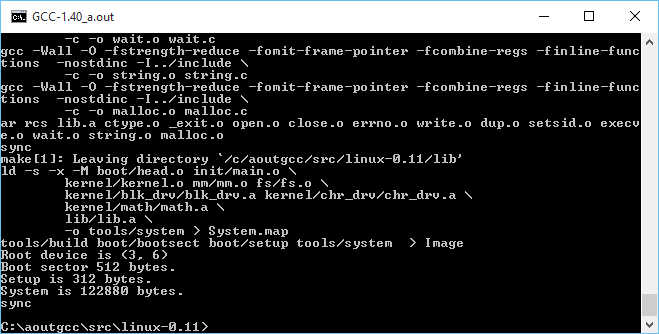 The downside is that the final ‘Image’ file produced doesn’t work (I should add that all issues have since been fixed, and it is now possible to cross compile a running kernel from Windows, and boot it with Qemu). But copying the ‘system’ file that is compiled on Windows, to a Linux VM, and having it do the boot setup does work! Very cool to say the least! I almost wonder if MSVC 1.0 could build any of this. Then it could be possible to bootstrap Linux from Windows NT 3.1 … Although Windows 10 is good enough for me, right now. And I got the DJGPP 1.0 gcc driver to work (soft of)! GNU C version 1.40 (80386, BSD syntax) compiled by GNU C version 5.1.0. I uploaded the archive MinGW-aout-linux-011.7z. If you want to compile Linux, you’ll need a MSYS from MinGW.  Otherwise, this is only interesting to people who run Windows and want to play with Linux 0.11. I also included the Linux VM, and binaries for the tools. It’s not even 7MB. How is that for crazy small? I got it all working now that I found all the portions to set to output as O_BINARY/wb that are needed on a Win32 host, so using MinGW I can build the as86/ld86/binutils/gcc and Linux 0.11! My updated post is here. bootsector & setup have 32byte headers. The 32bit system has a 1024byte header. strip those off. 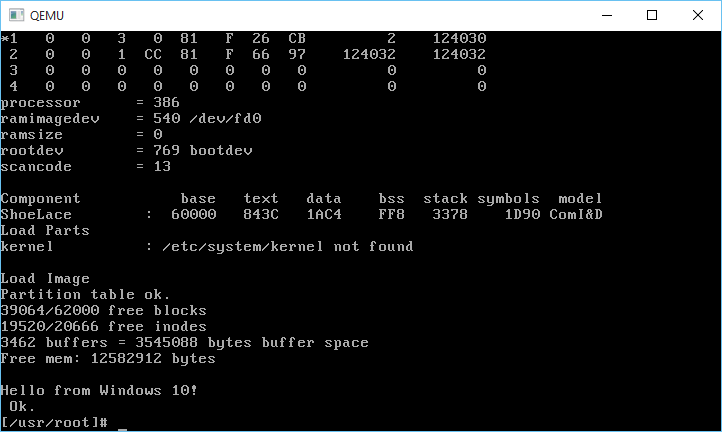 The kernel looks like this: [boot 512]+ [setup 2048] + [kernel]. Don’t know why the tool to slap this together breaks on Windows, but this is how to fix it. standard out needs to be set to binary for this to work! Once that was in place, along with O_BINARY on the file reads for build.c, it works! now this is cool! tried 0.01? You ought to be able to compile it, but there isn’t a libc left to link against, and the original bash is lost. From the RELNOTES there isn’t much you could even do, as there isn’t even a ‘ls’ command. We are simply lacking the ancient libc from anything prior to version 0.12.
well I fixed 0.11 so now it can fully build itself on Windows. Now Qemu will boot from the floppy disk Image file generated, and that is good. Previous Previous post: Craziest cross compile yet!